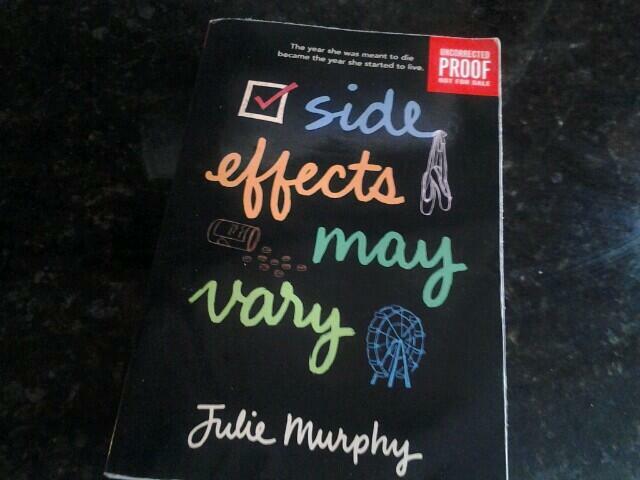 I was super excited to get SIDE EFFECTS MAY VARY by Julie Murphy. This is a OneFour KidLit ARC, and it arrive in the mail yesterday via Dahlia Adler. This book is currently on ‘tour’, visiting OneFour authors around the globe. Think of it like a yearbook. We read the book, write love notes in the margins, and then sign the back before passing it onto the next OneFour author. I loved the perspective of this book. Alice is such a rich and complex character. She has many facets, and when they are all woven together, she becomes alive and real. 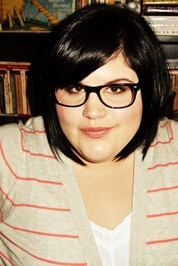 Murphy goes back and forth between the Now and Then of her story, and it allows a rich reading experience. I read this book in one night. It was a page turner because I really didn’t know how it would end. And the drama! Lots of drama. I wrote lots of OMG and gasping faces in the margins. And now I’m off to mail this baby to Jennifer Mathieu. I think she’ll like it! 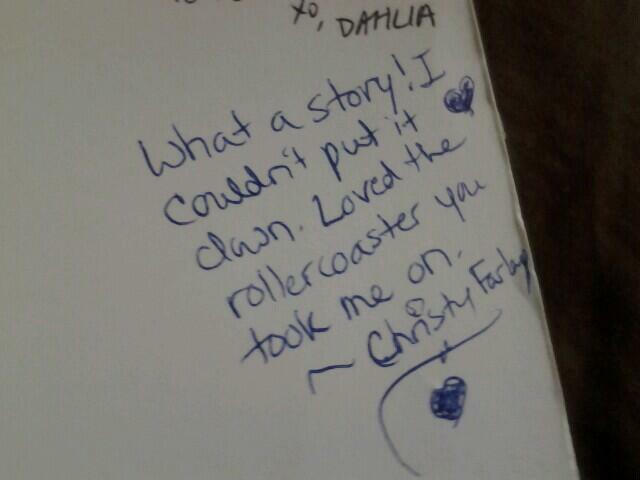 I love the idea of passing around a book as a “yearbook” and signing the pages! Very cool! The story sounds great. I love page-turners (although they’re not so convenient when you have to wake up early the next morning!!) and will keep my eye out for this one in the future. This sounds really powerful! I love the line you quoted. Interesting premise. Sounds like something I’d really enjoy, particularly the part about Alice having to deal with the repercussions of her actions. Oooo, this sounds good. Thanks for sharing your review, Christina! 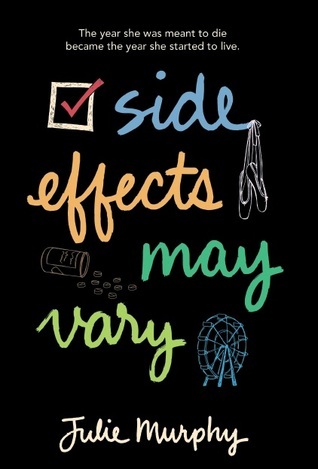 I’d love to read this. I’m adding it to my wish list.